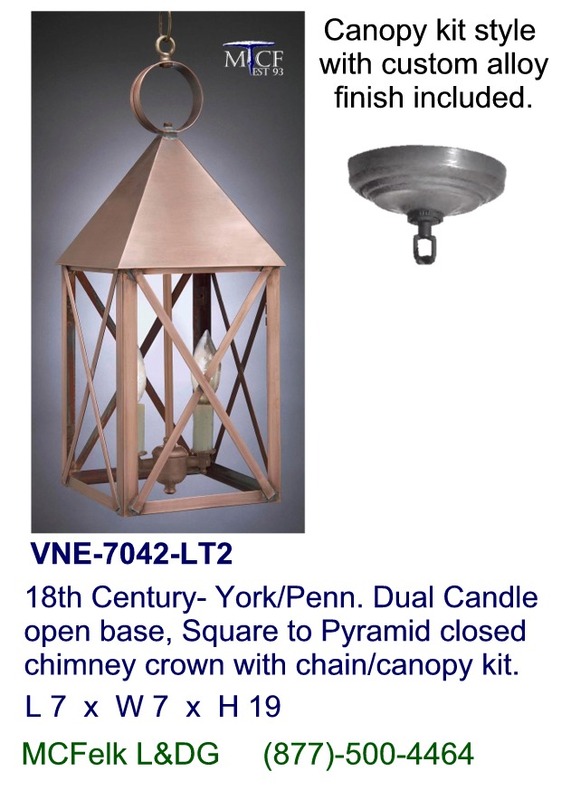 18th Century- York/Penn. 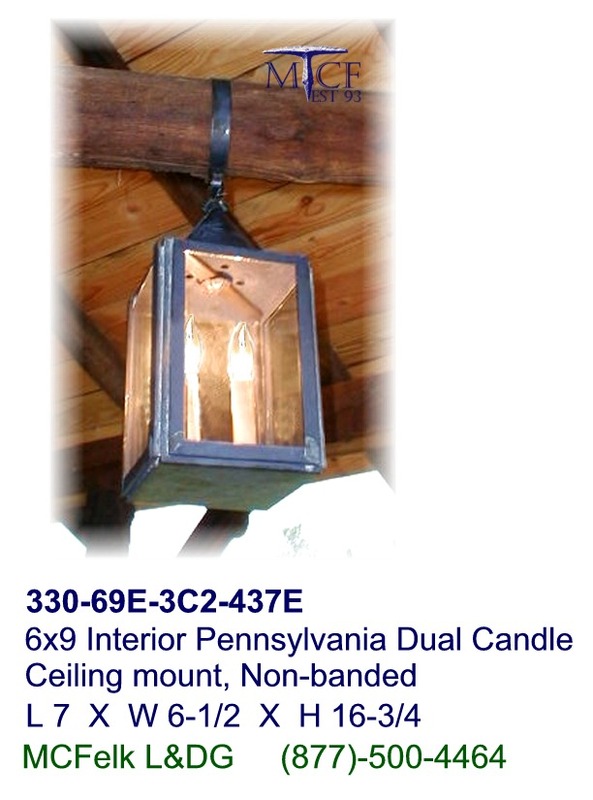 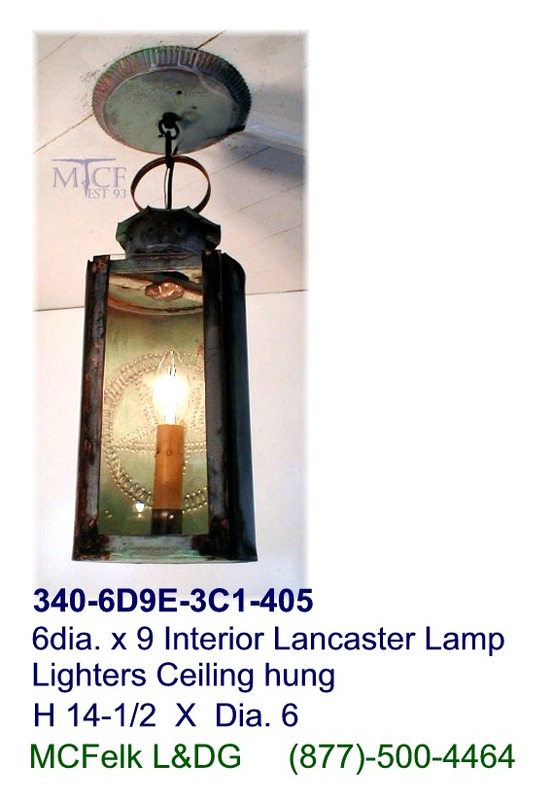 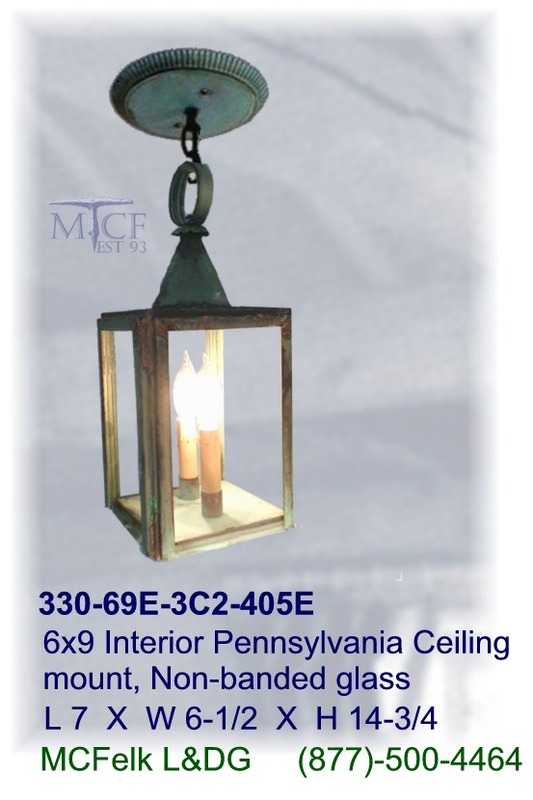 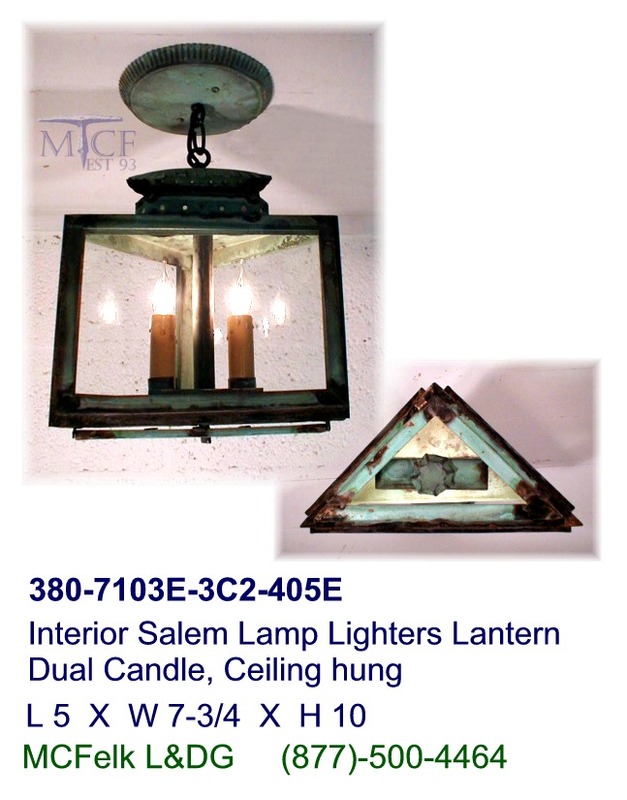 Dual Candle open base, Square to Pyramid closed chimney crown with chain/canopy kit. 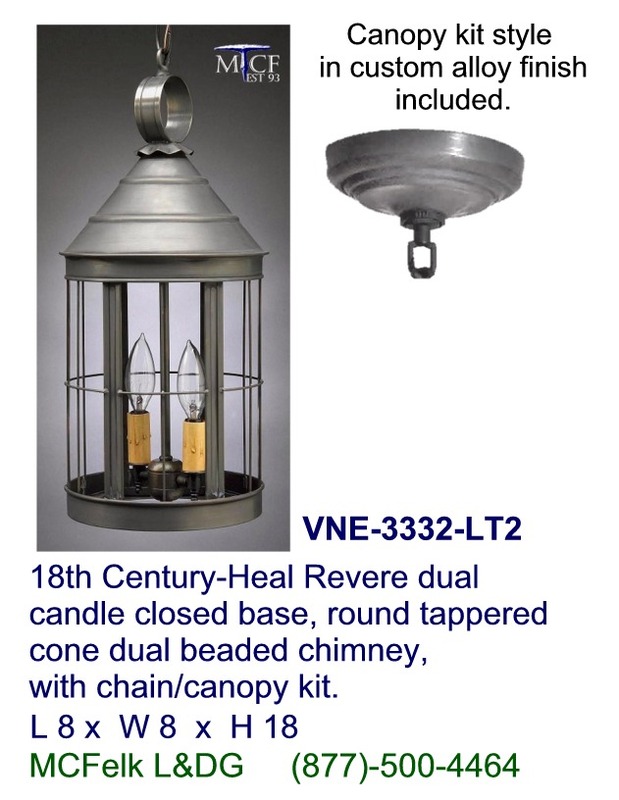 18th Century-Heal Revere dual candle closed base, round tappered cone dual beaded chimney, with chain/canopy kit. 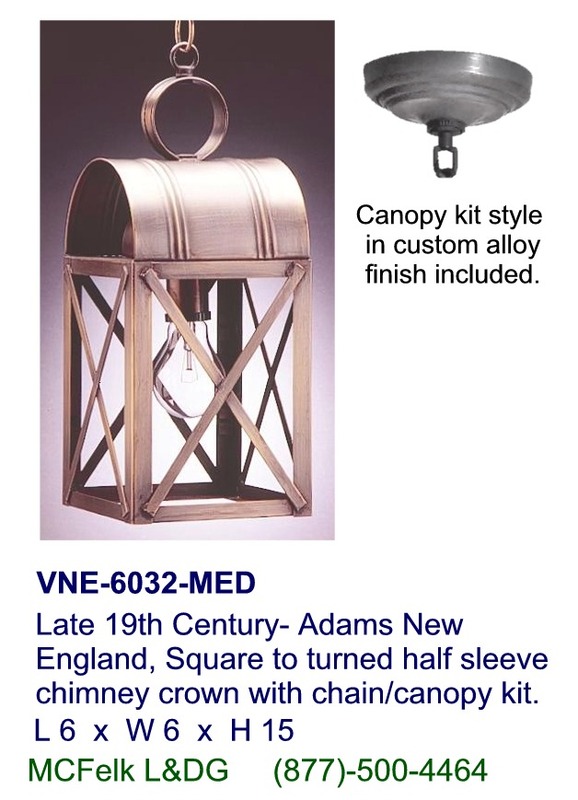 Late 19th Century- Adams New England, Square to turned half sleeve chimney crown with chain/canopy kit. 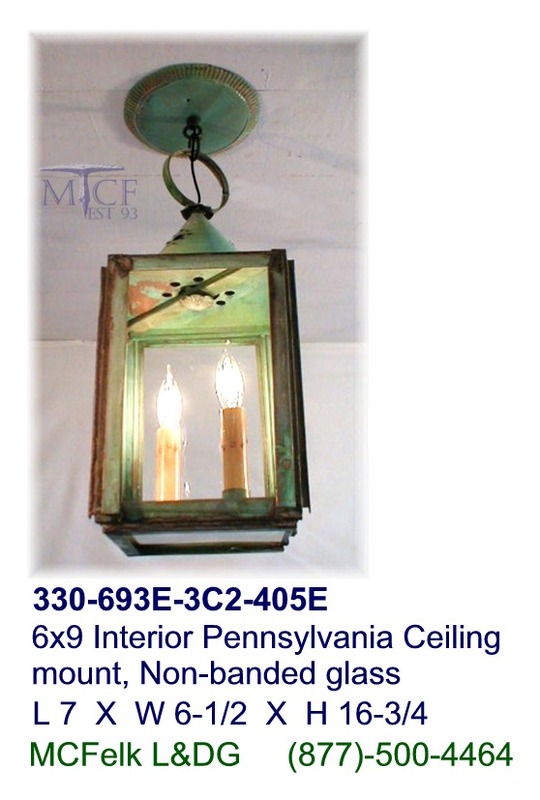 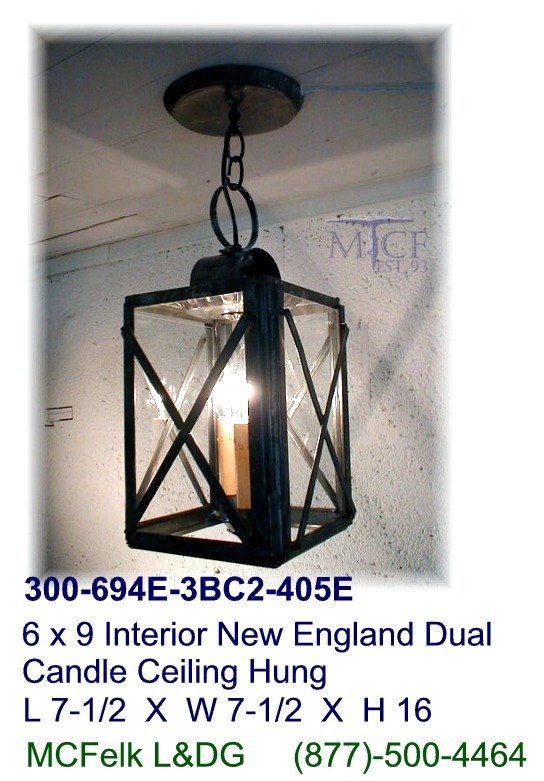 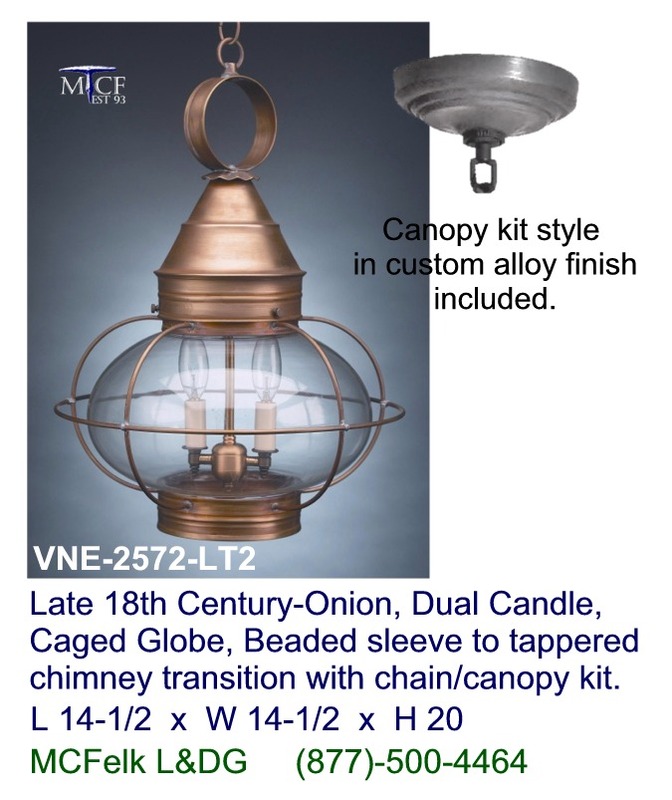 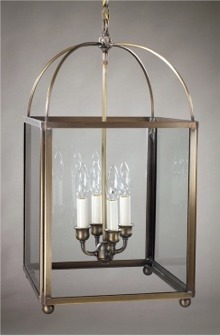 Late 18th Century-Onion, Dual Candle, Caged Globe, Beaded sleeve to tappered chimney transition with chain/canopy kit. 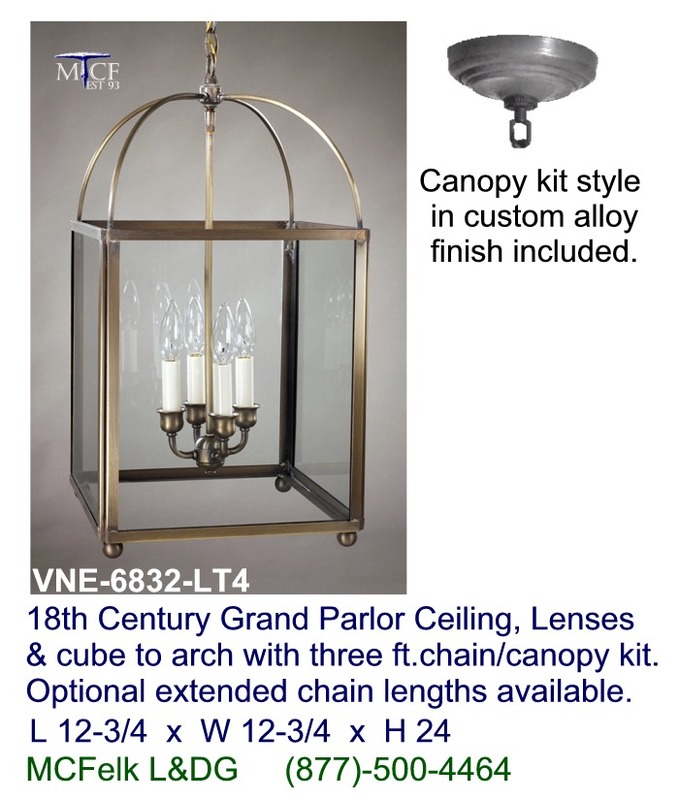 18th Century Grand Parlor Ceiling, Lenses & cube to arch with three ft.chain/canopy kit. 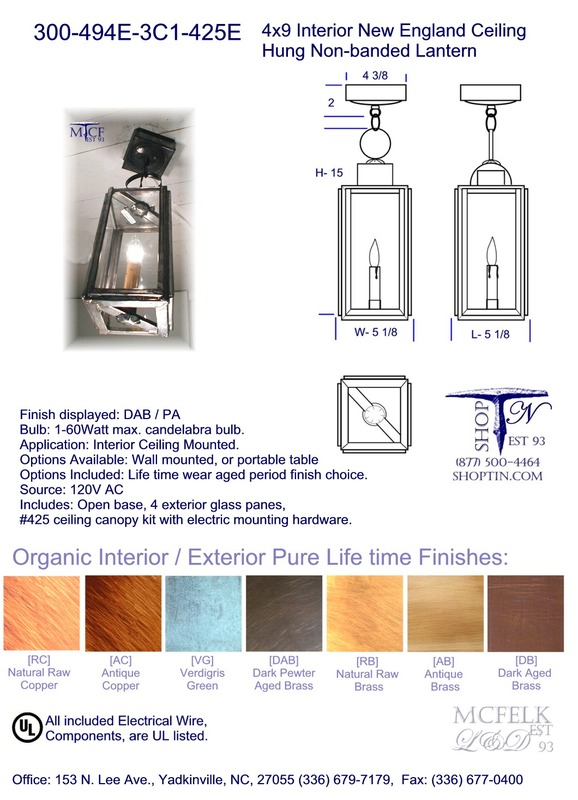 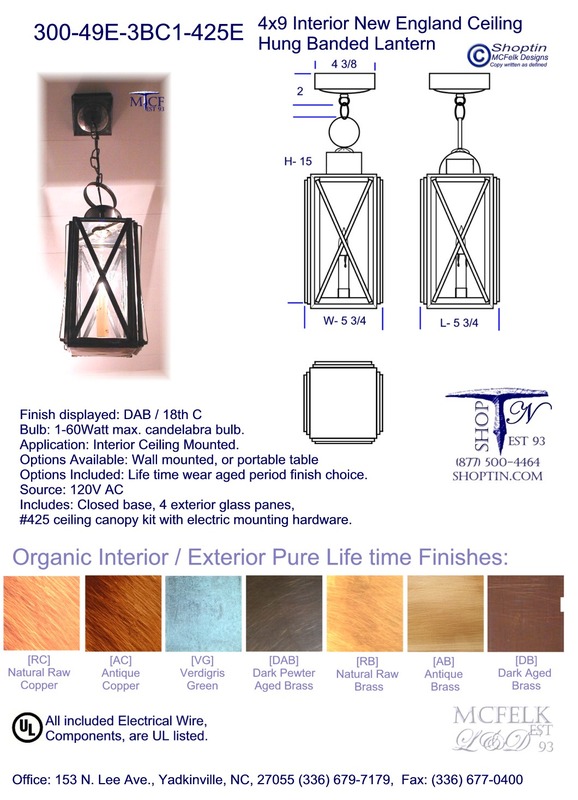 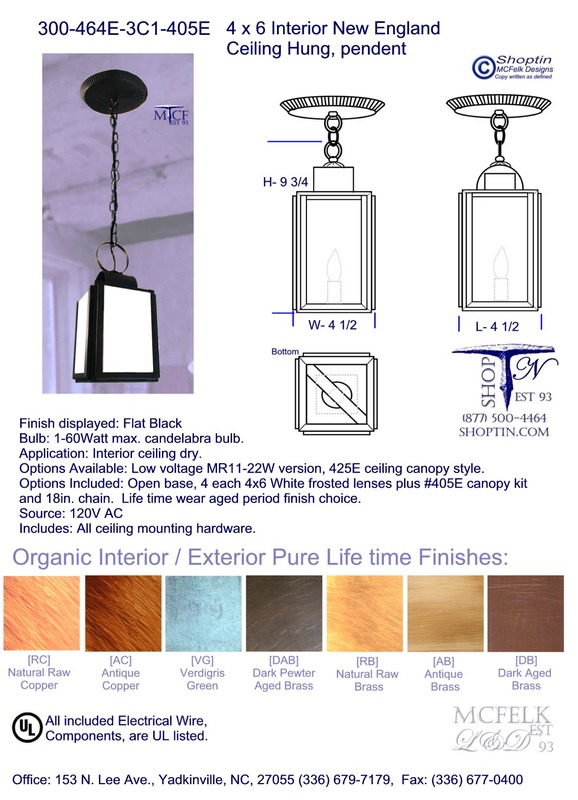 Optional extended chain lengths available. 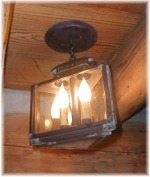 18th Century Fillmore-Salem Ceiling, Hex sided body transition to three tiered chimney crown with included perforated art as defined. 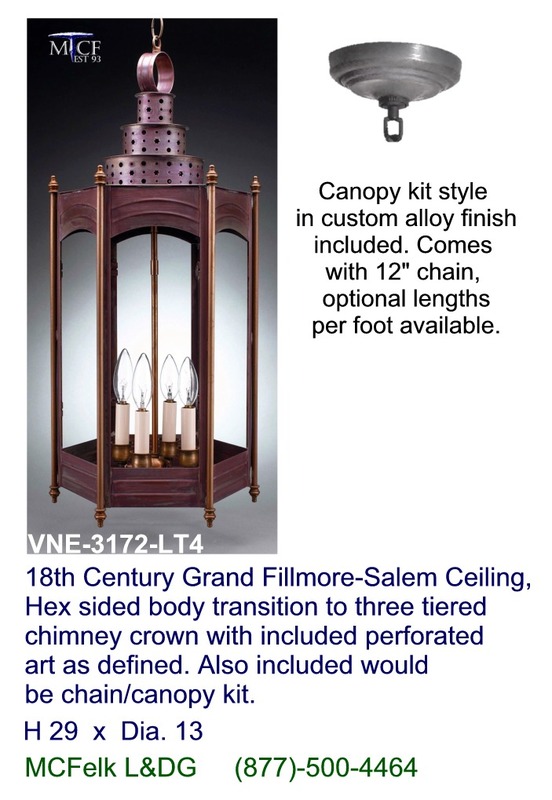 Also included would be chain/canopy kit. 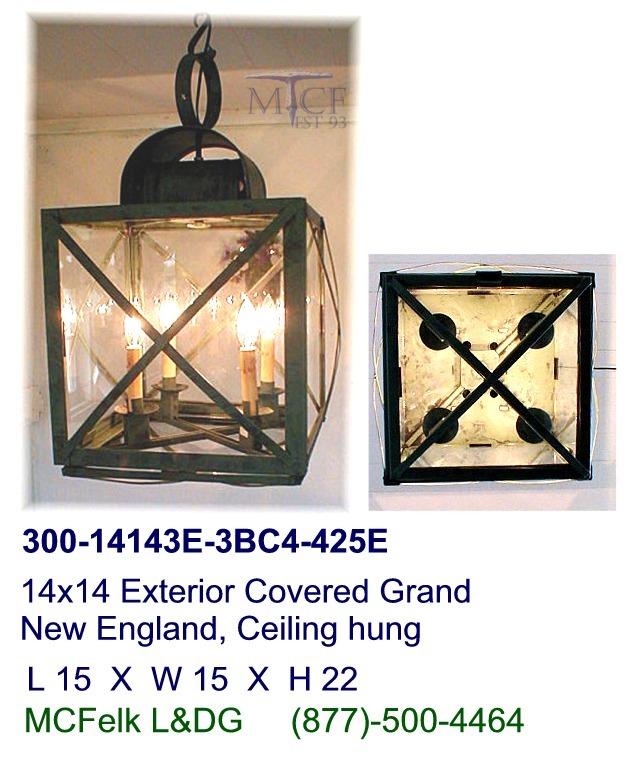 Optional custom geometry or sizing to application and or chain lengths available. 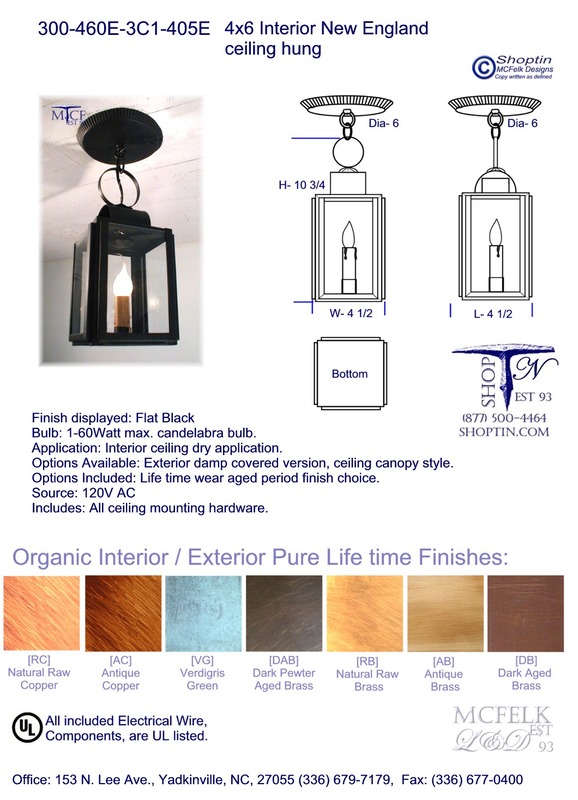 Also available in shorter height plus post mounted options.